What an exciting time in your life! We’d love to hear your beautiful wedding ideas and discuss how we can help you plan the most magical day at Victoria's. 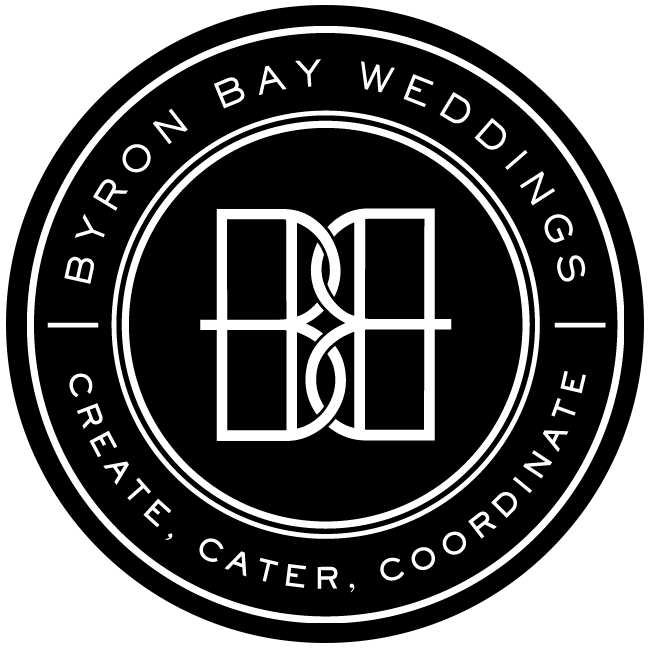 Take a look at the different package options available and how our team can assist you through your entire wedding journey from arranging your catering, helping you plan your day, sourcing the best suppliers to styling your event. We have a range of different wedding planning packages at Victoria's to suit your needs and budget. Once planned, one of our incredible wedding day coordinators will be there to run your day exactly as planned so it's executed flawlessly and to ease any stress on the day. See below for the different package options we have available. This package is designed for couples who wish to do most of the wedding planning themselves but want to ensure everything runs as planned and there's no issues on the day. Up to two personal planning consultations over the phone or via Skype. The first consultation will be done once you have booked your venue. This is to go through your wedding day plans and ideas so we can assist you with any advice or recommendations. We'll also provide you with a template to help start your wedding planning journey. The second consultation is a month before your wedding day. This is where we will find out your menu selections, confirm all your suppliers, discuss your seating plan, create the run sheet and go through every detail of the day to ensure it's executed perfectly. Advice and a list of the best suppliers to touch base with who can execute the dream day you are after. Liaising with all suppliers a month out from your wedding day to ensure they understand the run of the day and to cover off any questions they may have. Creating your wedding day agenda. From the information you provide us, we'll put together your wedding day agenda which includes your set up notes, and bump in and bump out schedule for suppliers, menu selections and seating plan. Wedding Day Coordinator who will manage your entire day from greeting and ushering guests, coordinating the ceremony procession line up and music, overseeing the execution of the décor, styling and floral set up to working with your musicians and MC so the bridal entrance, speeches, cake cutting and first dance is done at the right time. If any issues on the day should arise, they will seamlessly steer the day and solve any problems so everyone has the most magical time. This is a our signature package option. It's designed for couples who would still like control over their wedding planning but would love assistance to look after all the finer details and logistics that can become overwhelming. Your planner will assist with bringing your wedding day together and will then handover to the Wedding Day Coordinator who will ensure every detail you have planned for the past 12 months is executed flawlessly. Your time with your wedding planner officially begins 12 months out from your wedding day. Eight face to face, over the phone or Skype planning consultation sessions are included in your package. You and your partner will be invited to a complimentary dining experience at the Fig Tree Restaurant. This allows you to experience the wonderful food and service before the big day. Your planner will discuss with you and provide details of the best suppliers that will suit your style, ideas and budget saving you loads of time researching yourself. Our planner will help you personalise the look and feel for your day. Our style and hire supplier, The Wedding Shed, have created a series of looks that work really well at all our venues. These looks cover all aspects of your wedding day from your ceremony, cocktails, dinner and dancing. Have a look through the many styling options and your planner will help lock in the details. Your planner will discuss menu and drink options that are best suited to the vibe you are trying to create. All our weddings are BYO so they'll also guide you through drink options and quantities to ensure you supply enough to cater for your guest list. Your planner will provide you with a seating plan based on your guest numbers, chosen venue and dining location. They will also send you through all of the information required to complete your guest seating allocations based on the plan. This process is completed two weeks before your wedding day, once your RSVPs have been received and your numbers are finalised. Our planners know all the venues we work at inside out. They'll be able to arrange any other logistical elements for your wedding day like wet weather plans, marquee requirements (if any), transport, staffing, lighting and sound etc. Styling Meeting / Phone Call with Wedding Shed Stylist - $50 per hour (includes time for phone call & updates made). Hold My Hand Wedding Shed Styling Package - Additional $2,400 investment. This packages designed for couples that really don’t have any time to contact suppliers or manage their own budget. This planning package is perfect for those who purely want to be presented with information, answer ‘yes’ or ‘no’ to one person and then pay the invoice at each stage of completion. This is a great option if you are super busy and can’t commit much time to your planning, or perhaps based overseas and want the ease of having one point of contact. Your planner will then handover to the Wedding Day Coordinator who will ensure every detail is executed flawlessly on the day. Unlimited face to face, over the phone or Skype planning consultation sessions. You and your partner will be invited to a complimentary dining experience at the Fig Tree Restaurant. This allows you to experience the wonderful food and service before the big day. Your planner will arrange the booking for you. Your planner will spend time understanding your budget and your wedding day desires. They'll then research and source the best suppliers to fulfil your wedding day needs. They'll come back to you with their recommendations and quotes for you to simply say 'yes' or 'no'. Your planner will look after all the logistics with each supplier so you don't have to get involved. Your planner will help you personalise the look and feel for your day. Our style and hire supplier, The Wedding Shed, have created a series of looks that work really well at all our venues. These looks cover all aspects of your wedding day from your ceremony, cocktails, dinner and dancing. Have a look through the many styling options and your planner will lock in the details. Your planner can help arrange any pre or post wedding celebrations for you like a night before dinner, wedding after party or post recovery brunch. These options work really well for destination weddings allowing you to spend more quality time with your guests. Your planner will discuss menu and drink options that are best suited to the vibe you are trying to create and will lock in your menu selections with the Fig Tree Catering or Feast Events. All our weddings are BYO so they'll also take care of arranging your wedding day drink preferences and having this delivered directly to the venue. Our planners know all the venues we work at inside out. They'll be able to arrange any other logistical elements for your wedding day like wet weather plans, marquee requirements (if any), transport, staffing, lighting and sound and other special requirements etc. Each wedding couple is invited to the Fig Tree Restaurant for a complimentary tasting dinner before their wedding day. This allows them to sample the food and service they will provide at Victoria's before the big day. Drinks - BYO - $8PP service charge to cover bar set up of ice, cocktail garnishes and glassware. FIG TREE MENU - Enjoy a lavish banquet or tasting menu at your reception. We use The Wedding Shed for any items you may wish to hire to style your wedding. They offer a huge range of the latest trending furniture and décor making it easy to source quality items to bring your ceremony, dining or cocktail hour to life. This is the fun part of your wedding journey where you get to browse their website, Instagram and Pinterest page to decide on the look and feel for your big day. There’s endless options available to bring your wedding day to life. The Wedding Shed have also created a range of different looks that work really well at Victoria's. For those creative and style driven couples, who see their wedding day as the perfect opportunity to make a statement, and possibly throw a wedding extravaganza of something new and never done before then you have the option to add on a Styling Package. These service providers are amazing and will ensure your day turns out as everything you had envisaged and more! Have questions or would like a customised quote for your wedding at Victoria's? Please get in touch.